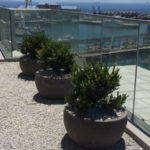 Tapered planters are 4-sided planters that taper from top to base. They have been catagorised here , because photographs of straight sided planters are often deceiving. 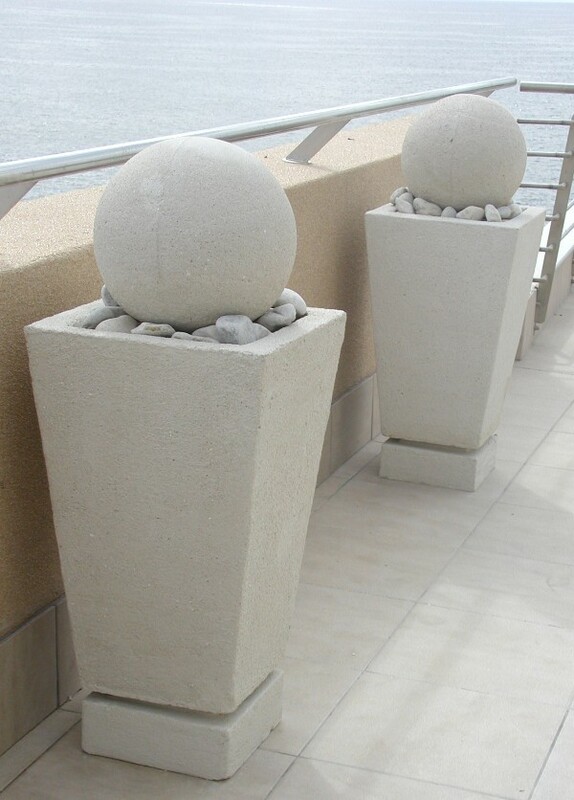 These planters have a base pedestal that forms part of their design . This pedestal is not a drip tray, but it can be made into a drip tray on request. Alternatively, communal drip trays can be custom made for an effective ‘grouping’ of pots. Plants , pebbles and lighting are supplied on request.